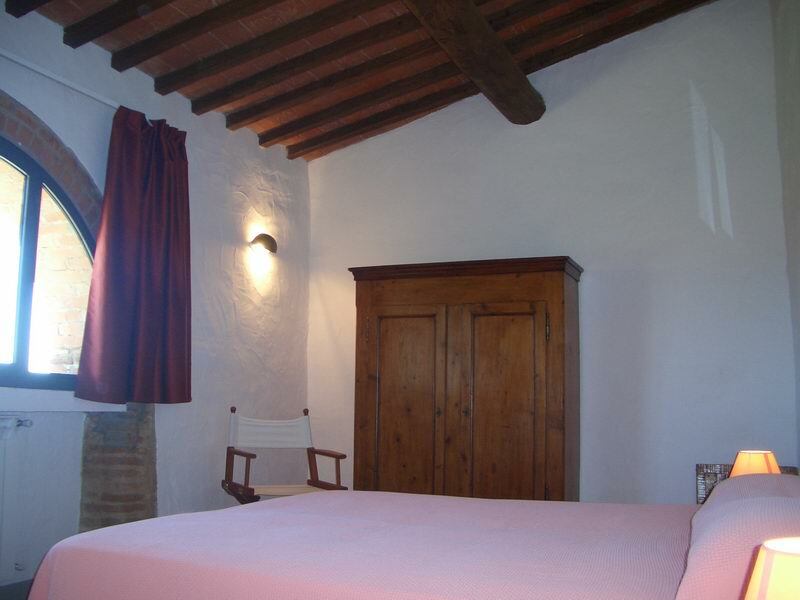 The Villa is an old country farmhouse dating all the way back to the 15th century. Careful restoration work has brought to light the original stone structure of the building, which has been divided into seven extremely comfortable apartments with names reminiscent of the surrounding area. 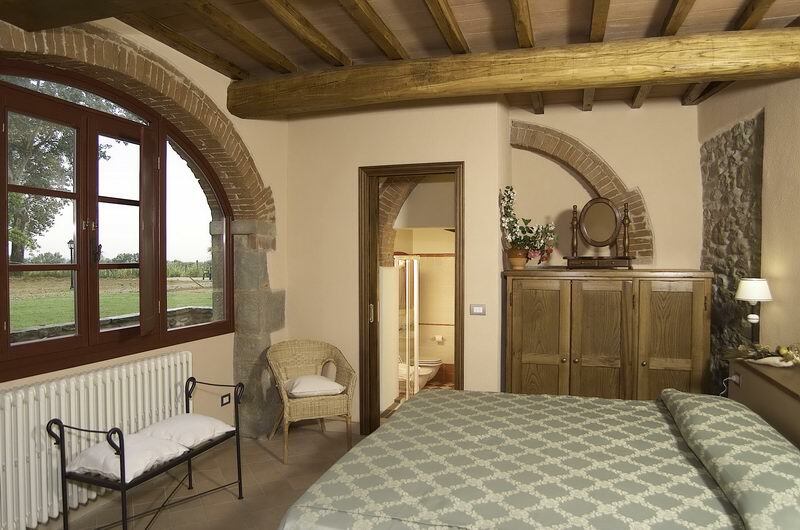 The apartments offer a perfect combination of modern comforts and the fascination of the past. 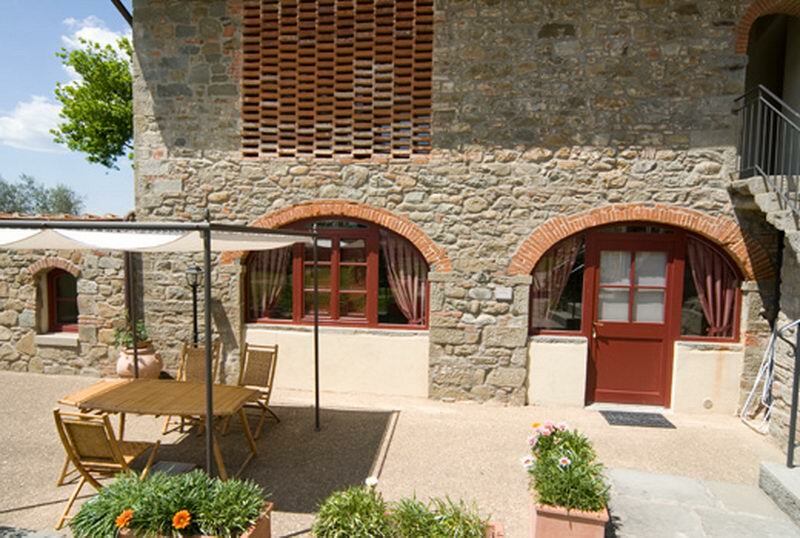 The fresh beauty of the countryside, with rounded hills dropping down from Pratomagno, is framed in the windows, offering views that are like enchanting watercolours. 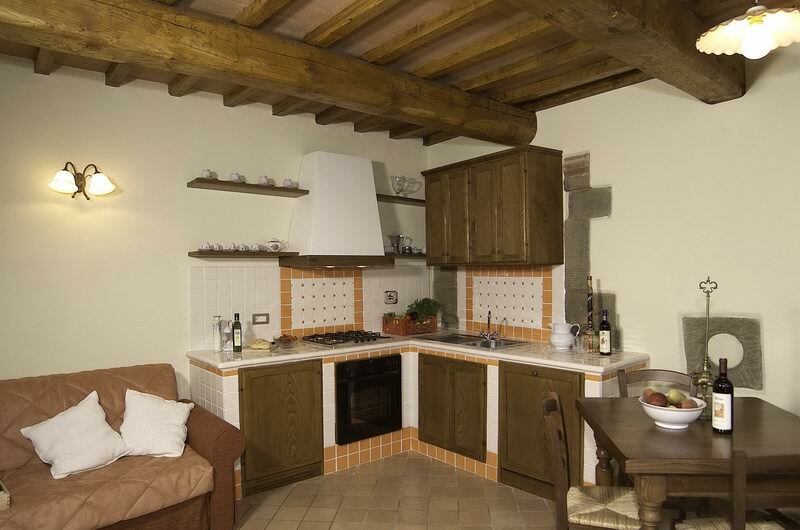 Each apartment has an oven, a dishwasher and satellite TV. 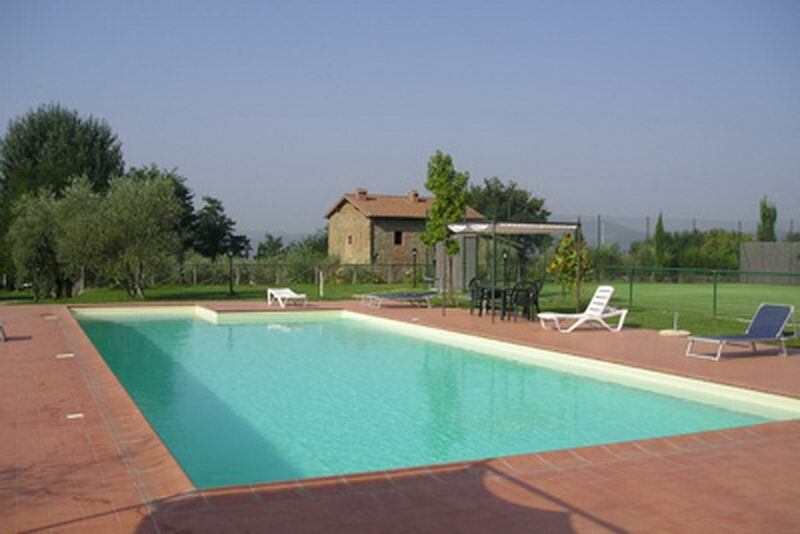 Guests also have the use of a swimming pool, tennis court and a covered garage. 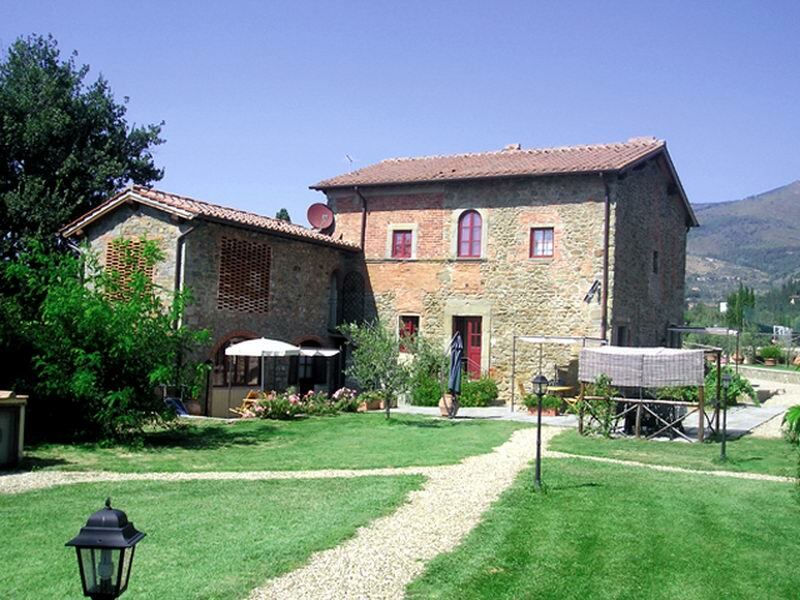 The Villais conveniently placed for visiting Tuscany's major art cities, including Florence, Siena and Arezzo. Gretaio (4 people) – Ground floor. Two roomed unit consisting of 1 double bedroom, living room with kitchenette and sofa bed for two, bathroom with shower. 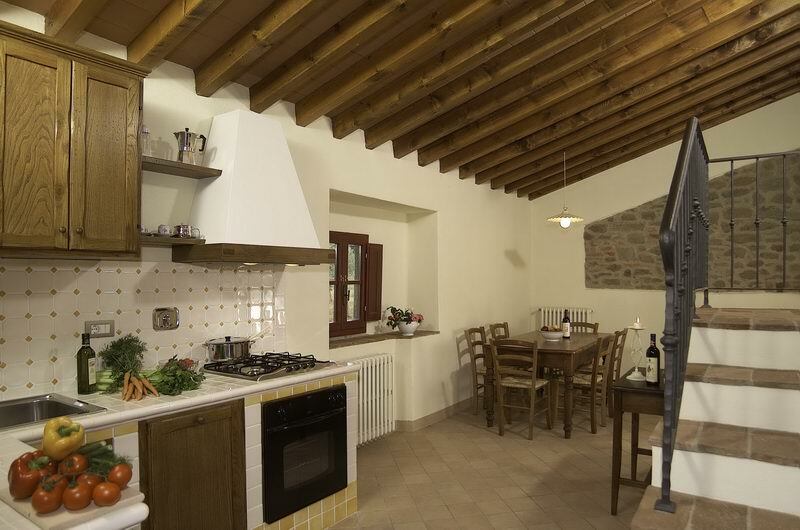 Pianuglia (6 people) – First floor. Three roomed unit consisting of 2 double bedrooms, living room with sofa bed for two, kitchen, 2 bathrooms with shower (one bedroom and one bathroom are on the gallery). 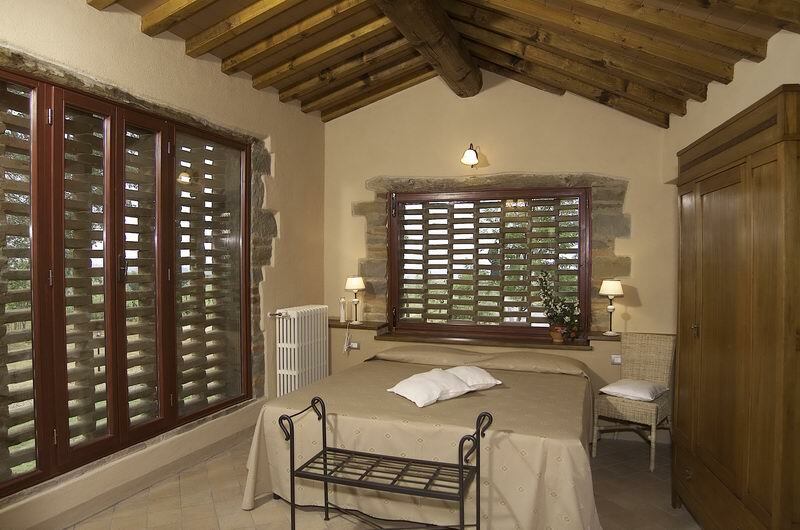 Lischeto (3 people) - First floor. Two roomed unit consisting of 1 double bedroom, living room with kitchenette and sofa bed for one (or for two children), bathroom with shower. Portico (3 people) – Ground floor. Two roomed unit consisting of 1 double bedroom, living room with kitchenette and sofa bed for one (or for two children), bathroom with shower. Morgone (6 people) – First floor. Three roomed unit consisting of 2 double bedrooms, liwing room with kitchenette and sofa bed for two, bathroom with shower. Roncaticco (4 people) – Ground floor. Two roomed unit consisting of 1 double bedroom, living room with kitchenette and sofa bed for two, bathroom with shower. Nocellino (2 people) – Ground floor. 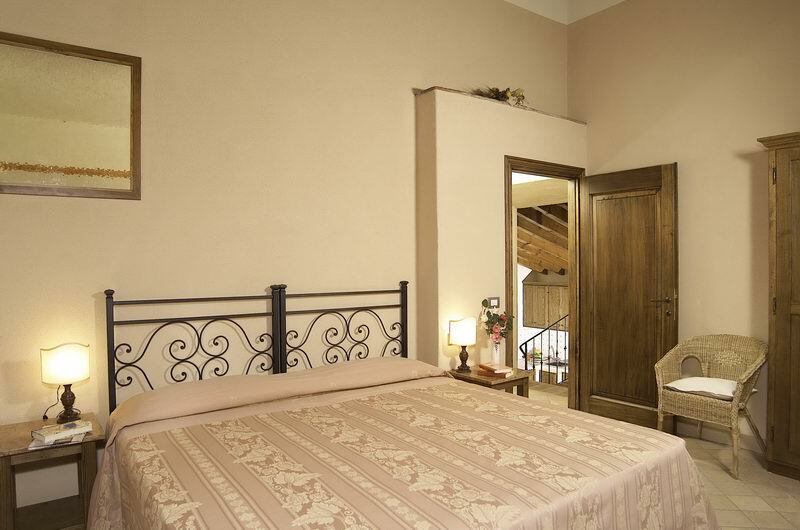 1 double bedroom with kitchenette, bathroom with shower. Exit the A1 motorway (Firenze-Roma) at Incisa. Follow the signs for Reggello. When you arrive Cascia follow the signs for Figline. About 500 from Cascia you find the Villa on the left.